Retractable banner stands are a convenient and effective way to showcase your business, product or service at any event, exhibit or trade show. Also known as a pop-up banner, they are light-weight and printed on high-quality, durable 10mil vinyl. The retractable banner stand is light-weight, portable and they’re easy to assemble and take down in minutes. Conveniently packed in a small bag. 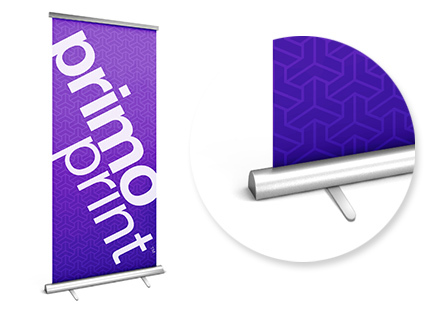 Select from a variety of retractable banner stands sizes to meet your promotional needs. Please Select 33" x 80"